Nomadic life is the most ancient way of humankind living, the characteristic that makes it an attraction of technology era. Almost everywhere in the world the nomads have maintained their local custom and traditions such as their lifestyle and residence, language, music, local food, clothes, ceremonies and etc. All these features make nomadic life a tourism attraction all over the world and especially in Iran. Nomads of Iran are a great cultural tourist attraction during Iran tours. They spread all over Iran and have many interesting attractions for tourists. One of the most famous of them is Qashqai tribe. They are mainly located in Fars province. Qashqai nomad’s language is Turkish and has many beautiful folkloric songs in this language. Qashqai nomad’s residence is tents made from goat’s hair and ornate with colorful wool products such as tassels and carpets. Maybe Qashqai wedding ceremonies are among the most beautiful traditional ceremonies of Iran. Tourists must be very lucky to have the opportunity of getting into one of these weddings where men and women dance in colorful clothes. The Qashqai includes five major tribes: the Amale (Qashqai) / Amaleh (Persian), the Dere-Shorlu / Darreh-Shuri, the Kashkollu / Kashkuli, the Shishbeyli / Sheshboluki, and the Eymur / Farsimadan, Smaller tribes include the Qaracha / Qarache’i, Rahimli / Rahimi, and Safi-Khanli / Safi-Khani. People of the Amaleh tribe were warriors and workmen attached to the household of the Ilkhani, or paramount chief; recruited from all the Qashqai tribes they constituted the Ilkhani’s bodyguard and retinue. The Dareshuri have joined the Qashqai tribal confederation during the reign of Karim Khan Zand. dismissed the Kashkuli leaders who had opposed him and “deliberately set out to break up and impoverish the Kashkuli tribe. The Farsimadan are of Ḵhalaj origin, and before moving to southern Persia, they dwelled in a region southwest of Tehran, Ḵalajestan. 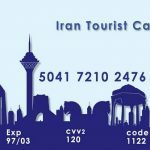 Iran Destination, Iran Tour Operator tries its best to make an unforgettable Iran travel for all those who wish to travel to Iran. You can simply contact our Iran Tour Operator and talk to us regarding any questions, suggestions or request. You can also take a look at our Iran Tour Packages and choose one to visit Iran. This Iran travel agency is always at your service!